Here is the second version of our HVAC interface which is compatible with the LS 990 series by Jung. With its ultra-resistant glass and anti-fingerprint finish, the FD7555 incorporates a high-contrast graphic OLED display. This new screen facilitates the viewing and operating of devices in dark environments. In addition to the display, backlighting for the buttons has been improved by incorporating high-brightness LED technology. Due to our extensive professional experience in the Caribbean and South America, we are aware of the weather peculiarities of these areas, where relative humidity can exceed 90%. Such high relative humidity levels make room maintenance difficult. 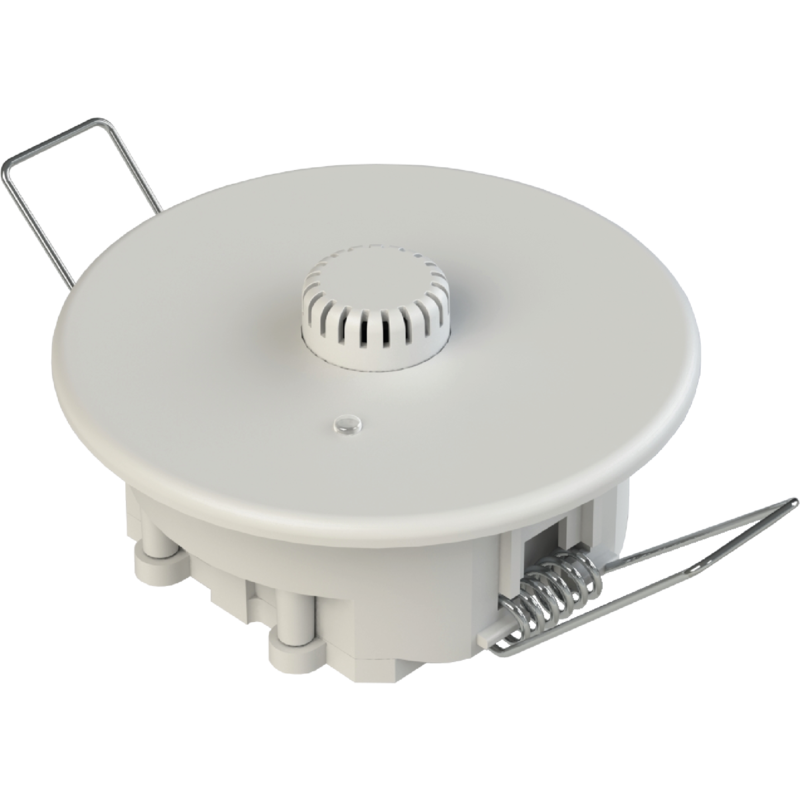 For this reason, with the collaboration of the Excellence Group, ROBOTBAS developed the TH7306 temperature and relative humidity probe. Used together with the RC7614 room controller, the TH7306 makes it possible to lower the relative humidity levels inside the room, thus minimising the deterioration of furniture and the walls caused by the growth of mould. The BI7580 is the new Bluetooth interface with SiSLink/C3 bus technology. This communication interface makes it possible to connect any room with R7000 series devices to a mobile device with an iOS operating system. 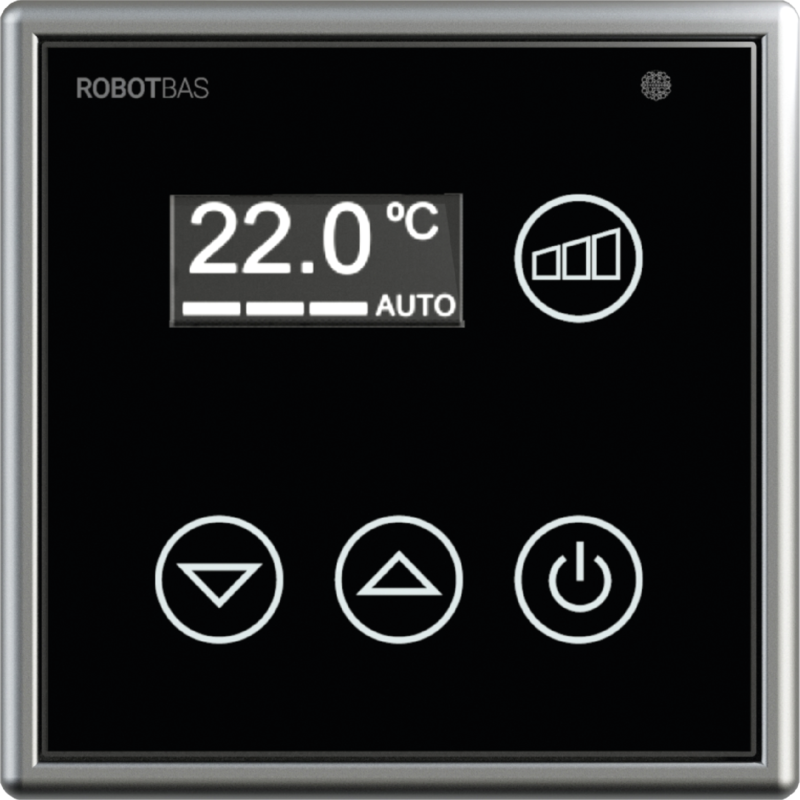 Together with the Room Control application developed by ROBOTBAS and available for free at the App Store, the BI7580 allows guests to intuitively control all the automation features for their room from their own smartphone. Thank you for registering in ROBOTBAS. You can now log in through the following link.